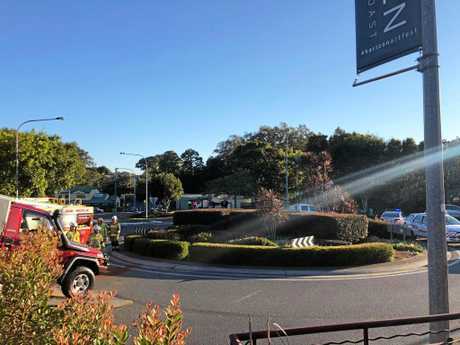 A POLICE officer was transported to hospital this morning after a multi-vehicle crash at a Buderim round-a-bout. 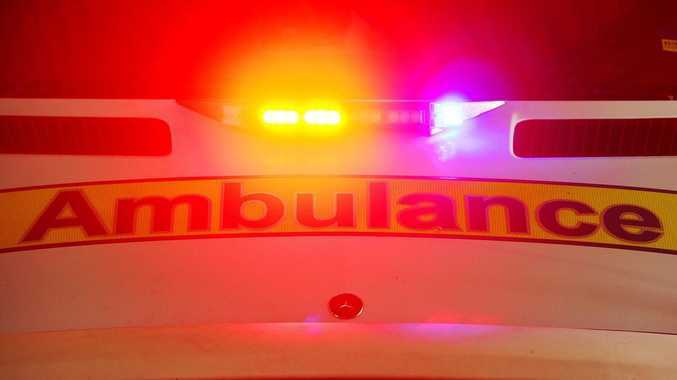 A Queensland Police Service spokeswoman said about 5.10am a police vehicle and and a four-wheel drive crashed on Burnett and Main St.
She said the four-wheel-drive rolled and officers were still investigating the cause. The spokeswoman said after the crash, the police officer remained in the vehicle to prevent any further injury until paramedics and firefighters arrived. The spokeswoman said he was transported in a stable condition with neck pain. The other driver was also complaining of soreness and was transported stable. She said no one was trapped in either vehicle but roads coming off the roundabout were closed until about 7.15am so emergency crews could clear the scene.